JM - It’s always great fun to go. It's also fun and challenging to learn new moves. Studio Verve is like a second home at times, a great environment no matter what stage your skill level is at. Not only is there the normal classes but you can go to as many practice sessions as you can. Plus the workshops Studio Verve has in addition to its normal timetable offer a great way to improve and learn skills and do more than just your normal class. 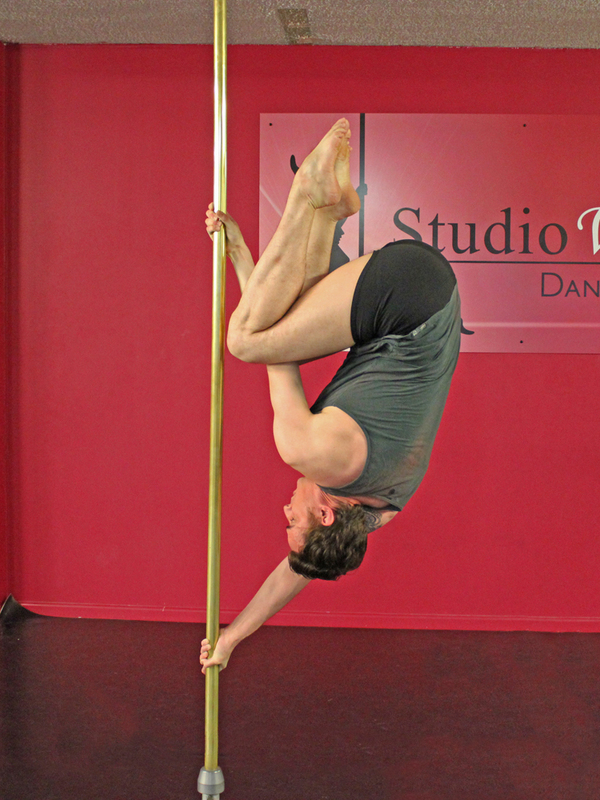 It was fantastic to have some really incredible pole artists out (Alex Shchukin & Evgeny, just to name a couple) and attend their workshops. 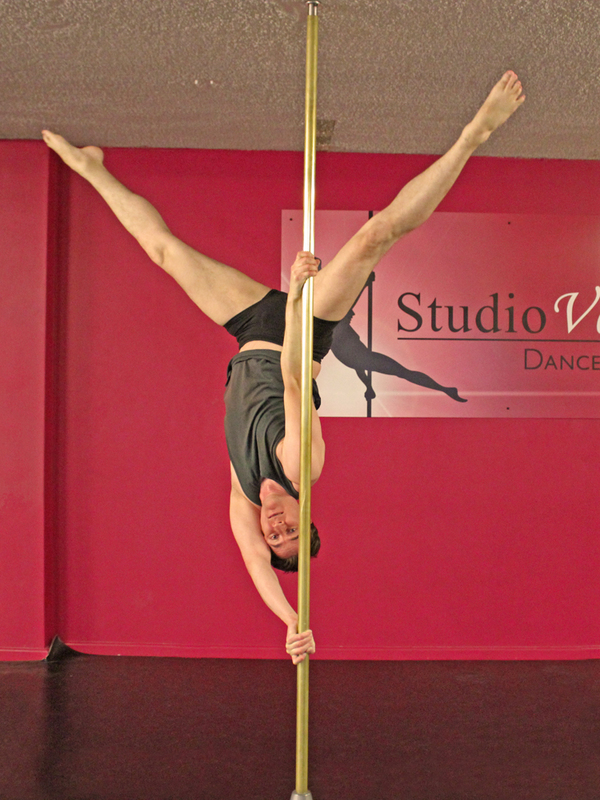 I also enjoy the acrobatic moves you can add into the pole moves. JM - I feel better about myself both mentally and physically. My posture and balance has also improved. JM - A lot happier and more confidence in myself...and at time a bit of pride in myself that I can do this sort of activity. JM - I have gotten stronger, my core strength is improving, that I am happier in lots of things ...that I am getting a bit more toned and buffed?? (I don't see that myself)....oh and bruises hahahaha! JM - So many things! To keep improving and to build the moves up into a whole routine, I really want to do an open night performance soon, and do a free standing handstand longer then 3 seconds …oh and more flexibility! JM - Forever!...as long as I can! It becomes a bit addictive and when I miss a class or practice I really notice it. JM - The atmosphere. I have made so many really good friends at the studio. When at practice everyone helps out and supports each other where they can. Another would be the instructors. They always make it fun and are always helpful. It is my home away from home. When you have a long or stressful day it really helps to come in to practice and have a good session and the friends I made at the studio always make you have fun and have a good time there you end up leaving with a smile on your face regardless of the day you have had. JM - There are so many things that are my favourite things about pole dancing. For one it really helps you get fit and is a challenging activity but it is so much fun as well! When you nail a move you have been trying to do it is a great feeling, you just want to do it over and over! JM - Patience ....At times there are moves it takes a while to get when others seem to have no problems with them. However it can work the other way and you get one move before others. Flexibility can be also challenging especially for me as was never that flexible to start with but it’s improving all the time. JM - Nothing at all. JM - Mmmm ...I think anyone who wants to improve either their flexibility, strength and or general fitness level, pole is definitely good for that. Anyone who just wants to try something different. Pole dancing caters for all no matter what stage you are at.